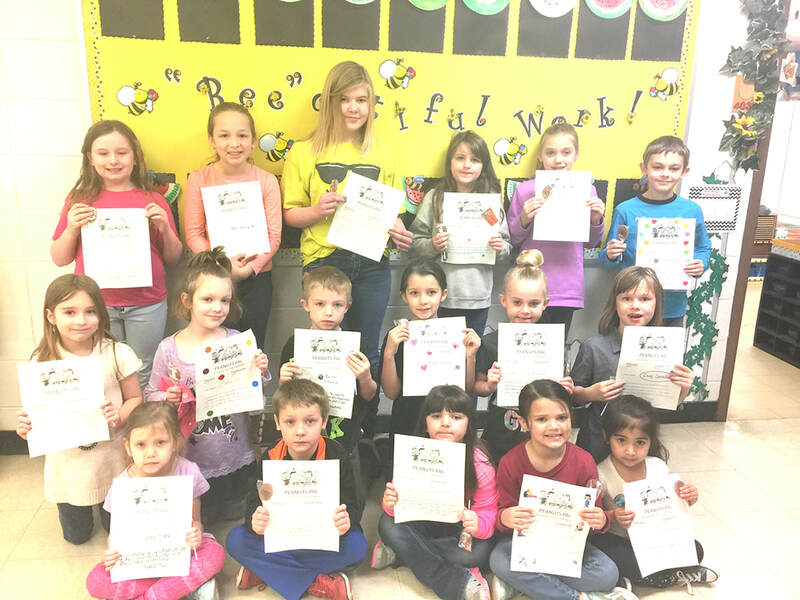 During the month of February, Southwest Elementary students were chosen to be “Peanuts Pal” Students of the Month. These students exhibited the character trait of trustworthiness. Southwest Elementary’s February Trustworthy Students are pictured above, from left to right. In the front row: Jenny Tiner, Easton Wilson, Jaelyn Wright, Alana Smith and Julieta Tellez-Monzon. Middle row: Tynlea Harr, Natalie Corn, Bentley Libertus, Kylee Larsen, Tinlee Mitchell and Zoey Canada. Back row: Dalila Graves, Addie Pendergraft, Lexi Taylor, Charlie McGarrah, Riley Cole and Landon Brunell.